Were’s going to re-sort these to more relevant sections if you see anything you recognise and can comment on please let us know. Photo of Who what where when & riding which?, an old press cutting needs info. ISDT??? 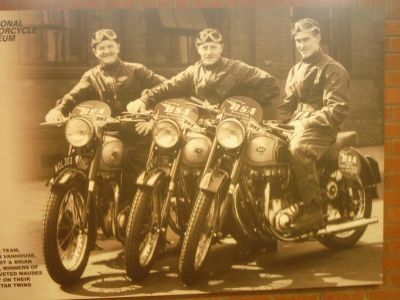 Photo of Maudes Trophy BSA Team Centre is Fred Rist, left is Norman Vanhouse & that looks like Brian Martin on the right? 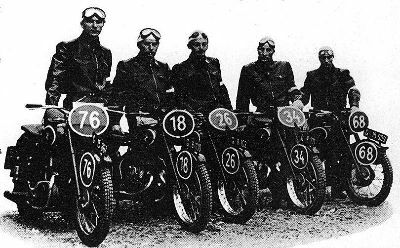 Not ISDT shot but the Maudes Trophy BSA Team worth viewing, with ISDT riders. The machine is a Royal Enfield Bullet 500 with the high performance ‘Bighead’ cylinder head (devised to accomodate over-size valves, and challenge the BSA Goldstar). The bike seems kitted out for the ISDT, but I have no idea who rode it, nor the year of its entry. Normally 350 Bullets would be entered, a 500 was an exception but not one I can discover recorded in any of the books I have consulted. 1971 ISDT, Finland won the Trophy plus Silver Vase on their own soil. Trophy Team 1971 ISDT Kari Tiainen, Jani Laaksonen, Pekka Viljakainen, Petteri Silvan, Mika Ahola, Vesa Kylonen. Silver Vase winners Tuomas Ahonen, Juha Salminen, Juha Laaksonen, Mika Marila. unknown BMW #84. Possibly a late 70’s ISDT but might be another event. Any one recognise this at any time in its life who can enlighten us? 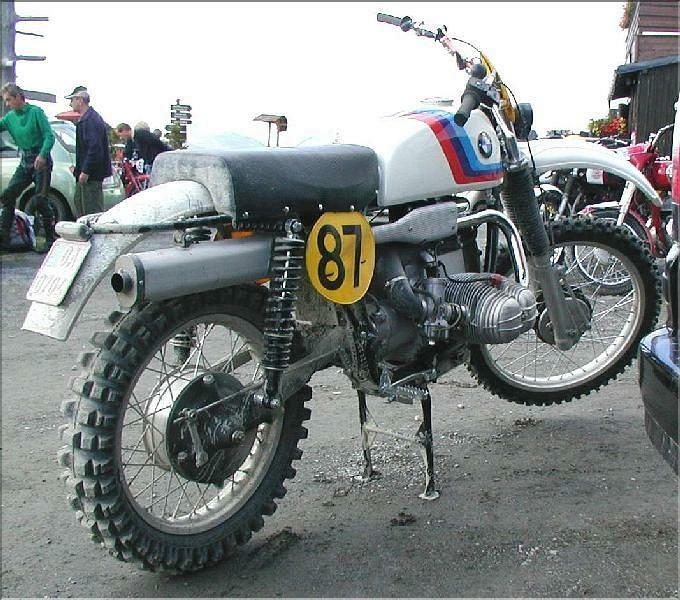 Photo of #384 BMW but quite possibly has that ISDT feel to it – is suggested to be Bernhard Koln on a 1970 works BMW? 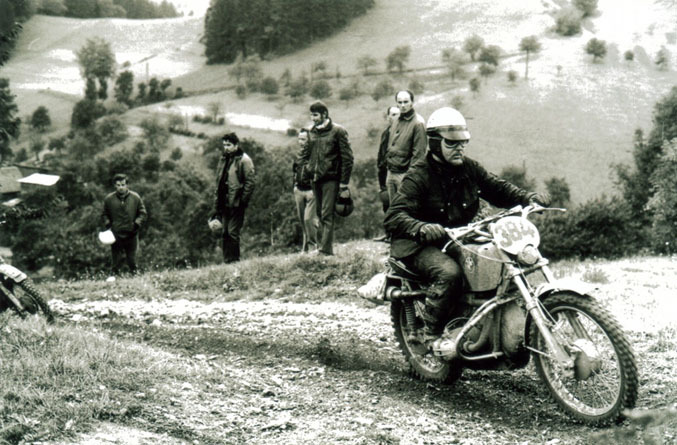 Photo of an event official marshall on a BMW is this an ISDT? who and where would be nice if you can help. The photo with the note – photo f ISDT Royal Enfield NAB842 – Anything known of this machine’s history? I can add a little info. What I can confirm is that NAB 842 is a ‘works’ – Worcestershire – registration, and was used on other competition Enfields. 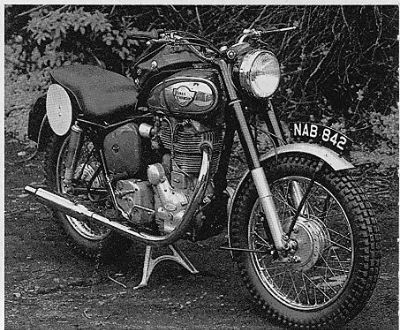 There are photographs of the NAB 842 plate on a Bullet 350 (with standard cylinder head and rubber fork gaiters). First of all many thanks for this great homepage! I live in Germany and I’m interested in BMW GS. 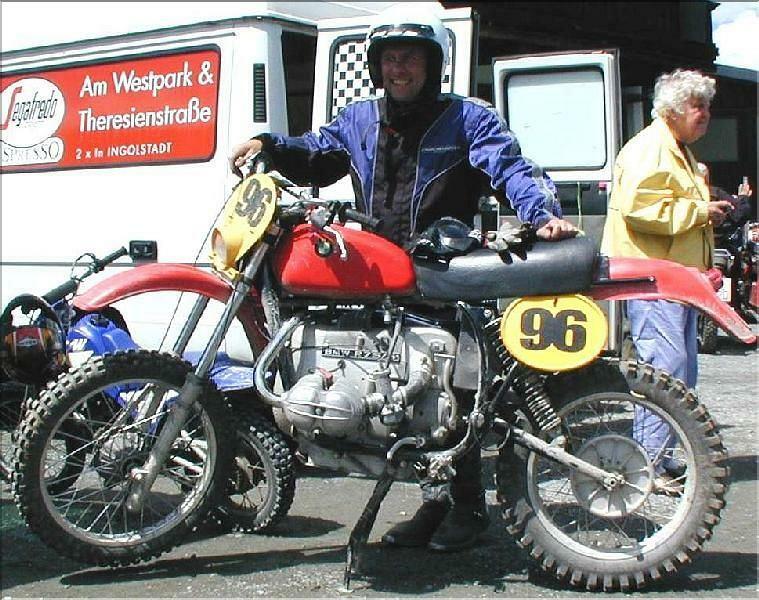 The #96 and the #87 are modern times replicas of the ’73 and ’78 Schek bikes, lokated in Bavaria in the south of Germany, they often took part at the Isny Classic Enduro, where these photos were probably made. 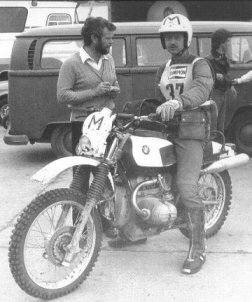 The photo of the official marshall shows Rüdiger Gutsche from the BMW development department with one of the G/S prototypes at the ISDT 1979 in Germany Stegskopf. And BTW there were a few 499 cc Enfields listed in the 1954 ISDT programme. Namely Nos. 235, 229, 221, 215 and 203. Three Swedish riders and 2 British. 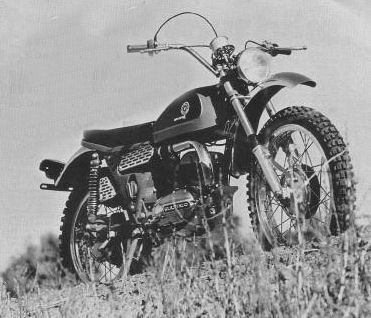 Werner is right, and # 384 should be a 1970 BMW Works-bike.